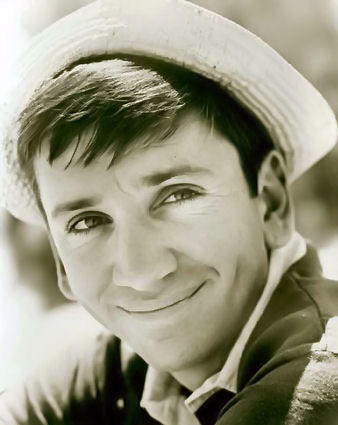 Bob Denver, who bumbled and stumbled his way to television stardom as goofy castaway Gilligan in the 1960s comedy "Gilligan's Island," has died of complications from cancer, his agent said on Tuesday. Gilligan is dead and so goes another piece of my childhood. For those of us born in the 60's, Gilligan's Island was as much a part of our daily routine as school and Pop Tarts. Back in the day before 500 channels, there wasn't much for us kids to watch at 3:00 in the afternoon but you could always count on Gilligan's Island. So we watched it, again and again, for our entire adolescence (98 shows in syndication, comprising 3 years of the show's original airing). Gilligan's Island, like Star Trek a few years later, became a part of American culture despite failing on prime-time television. It shaped our sexuality as men. At 13 I decided I was a Mary-Ann man and have been one my entire life. It's no surprise that while other men drool over the exotic looks of Angelina Jolie and J-Lo, I have always been partial to the wholesome qualities of Sandra Bullock. Almost every girl I ever dated was a brunette and an athletic girl in a t-shirt and shorts is hotter to me than a skinny thing in evening wear. Is Mary-Ann responsible for a lifetime of female preference? Is it a coincidence that my wife is named Bobbi-Ann? How long lasting was the fame that Denver got from Gilligan's Island? So long lasting that, 30 years later on David Letterman, Dave was doing a top-ten list called: Announcements That Will Make This Crowd Cheer Wildly. One of the announcements was: "Ladies and gentlemen, Mr. Bob Denver!" Bob Denver stood up in the audience and the place went nuts. Everyone knows Gilligan and everyone loved him. Is there a person on the planet over 30 who can't sing the theme song to Gilligan's island from memory? There's a reality show on right now called The Real Gilligan's Island. On James Taylor's latest CD, he slips a piece of the theme song into one of his own songs. For my generation, there really is no bigger pop-culture icon than Gilligan.